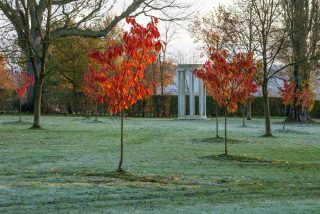 Designed and planted in sympathy with the adjacent ancient parkland meadow, the New Garden is lent definition by a meandering belt of viburnums. 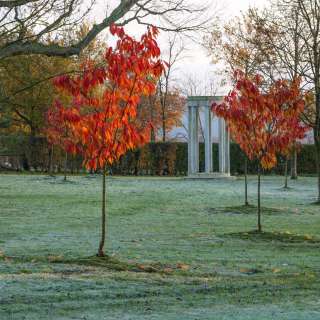 It features a dense planting of small ornamental trees, including Chinese birches, magnolias, cornus, Japanese cherries, amelanchiers and maples. 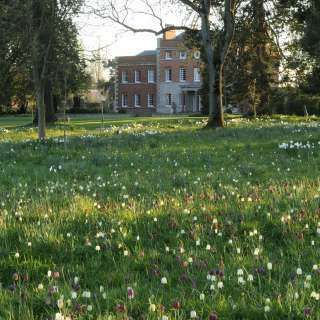 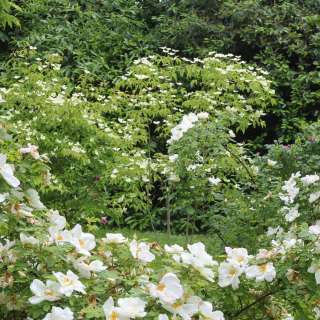 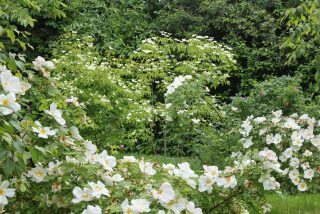 Paths criss-cross through large shrub roses that have been under planted with masses of snowdrops, scilla, species tulips, and Himalayan primulas. 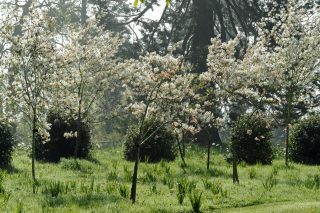 Past the viburnum belt, the grassy path leads into the parkland meadow. 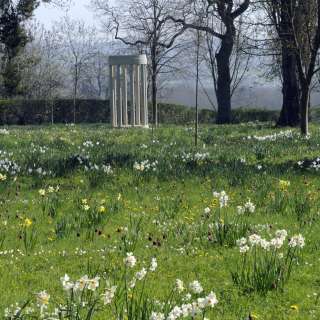 It eventually curves round to reach the folly. 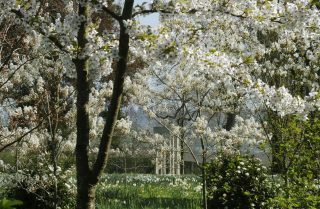 Made exclusively of pale sandstone, this modern but classically inspired "monopteros" presents outstanding views down to the main house along an informal avenue of young Japanese flowering cherries. 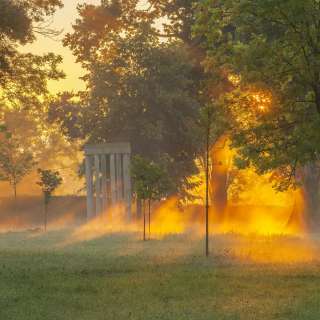 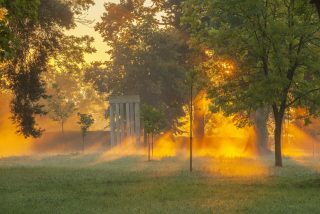 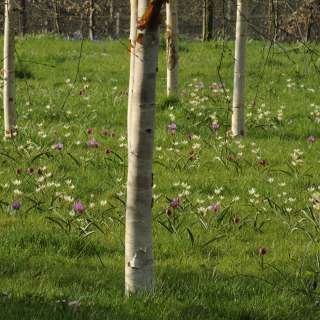 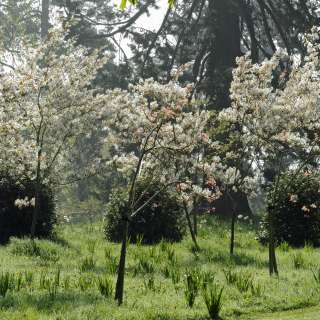 Mature trees, including Scots pine, acer rubrum, acer saccharinum, hornbeam and robinia spread across a spectacular four-acre bulb meadow. 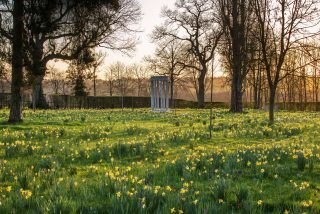 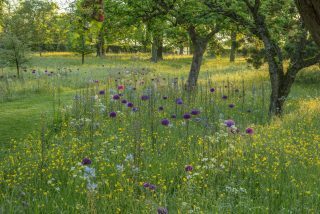 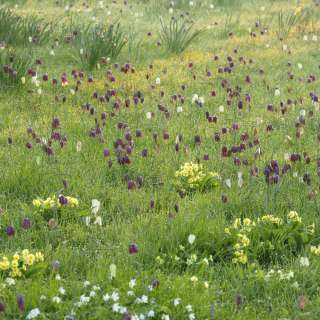 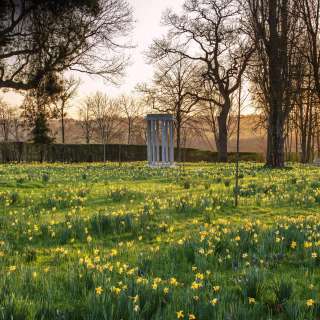 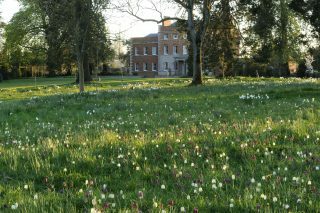 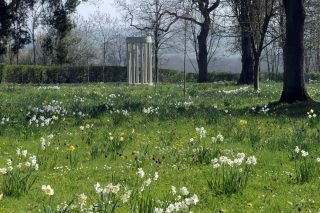 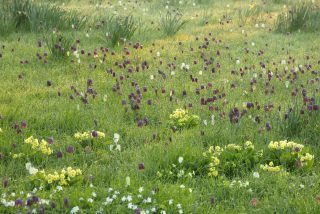 This much-admired meadow, which has its roots in the early 19th century, turns into a “magic carpet” in the spring, starting in March with tens of thousands of crocus and species narcissus, followed by a surfeit of fritillaries, primulas, anemones and pheasants-eye narcissus in April. 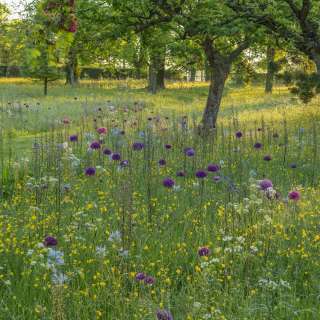 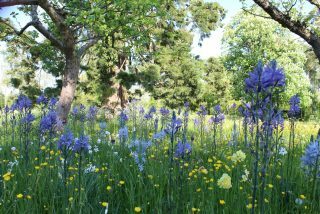 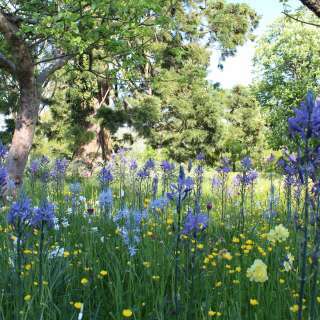 A recent addition is a mixture of camassias and alliums planted along the parkland paths and around the monopteros, which carry the display well into May and provide a striking contrast to a sea of buttercups. 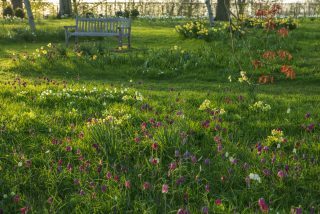 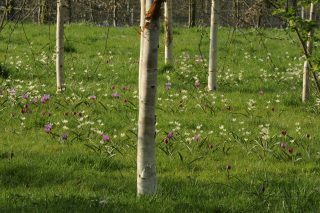 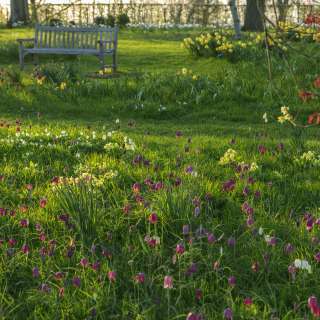 In the east corner of the park, the path turns into a nut walk, framed by many different varieties of primulas: species and cultivars that thrive in this dampest part of the parkland meadow.